Despite the fact that Motorola completely dissolved in the units of the Lenovo smartphones under the legendary brand has not lost recognizable style. On the page hellomotoHK on Google+ posted the first picture of one of the smartphones Moto 2016. The Photographer did everything according to the canons of the "spy" pictures: low resolution, knocked out of focus and bad lighting. 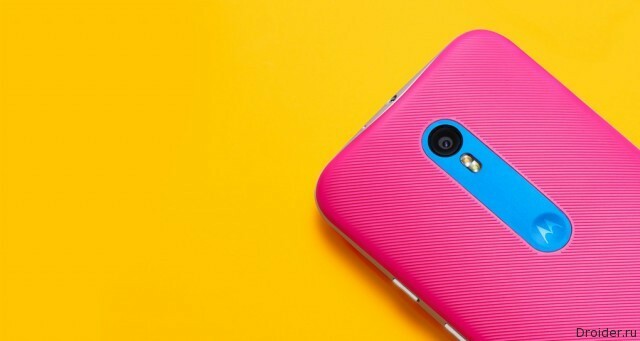 Contrary to the bad picture quality, something to learn about the new smartphone Motorola. In the eye catches a button under the screen, which most likely carries a fingerprint scanner. Interestingly, Lenovo/Motorola has chosen for the sensor is situated, against Google, LG, Huawei and other adherents of the back cover.